You will need Node installed on your machine. In this tutorial, we will look into how to build a Chrome extensionand also integrate realtime updates using the Pusher Channels API. Sometimes, a traditional website isn’t the optimal channel for conveying realtime updates, because the updated event needs to be utilized instantaneously. The process of loading up a new webpage and waiting for it to update with data can be quite inconvenient to the consumer who doesn’t want to have to leave the current tab to retrieve data. We will build a simple Chrome extension that displays score updates on an NFL game. We will not key into an API but simulate the scores and cause them to progress randomly. For the sake of this tutorial, we will assume that the game being played is Indianapolis Colts vs Tennessee Titans and the extension will display updates in realtime once it is started. The source code to this tutorial is available here on GitHub. Node.js and NPM installed on your computer. Installation instructions. Basic knowledge of Node.js and vanilla JS. If you have all of the above requirements, we can proceed. Skip the next section if you already signed up with Pusher and created an application. We will need Pusher to power the realtime updates on the extension so you need to create an account here if you don’t already have one. After signing up, create a new Pusher channels application. While creating the application, fill in some information about the project. Select Vanilla JS for the frontend tech stack and Node.js for the backend tech. When the application is created, note the application’s credentials; we will need them to integrate Pusher into the extension. The first thing we want to do here is to create a new folder to house the entire project. Create a new directory called realtime-nfl-scores. Next, launch your terminal and cd into the directory you just created. In there, create an index.js file. This will be the file that will contain the Node.js code. Express - A minimalist web framework for Node.js. Dotenv - A package to load environment variables from a .env file into process.env. ⚠️ Replace PUSHER_* keys with your app credentials. In the snippet above, we created a new Express application, configured DotEnv and initialized a new Pusher variable. Next, we registered a new instance of the Pusher variable using the variables that we previously stored in the .env file. We defined a simulate function to generate a random number between 0 and 1 every 3.5 seconds, then trigger a new scores event (sending over the generated data) on the realtime-updates channel. We defined a single GET endpoint called start and this is the endpoint that’s responsible for starting the generating of pseudo scores and triggering events. Finally, we specified that the server should listen for requests on port 3000. This is all the code we need for the backend, let’s move on to building the frontend. 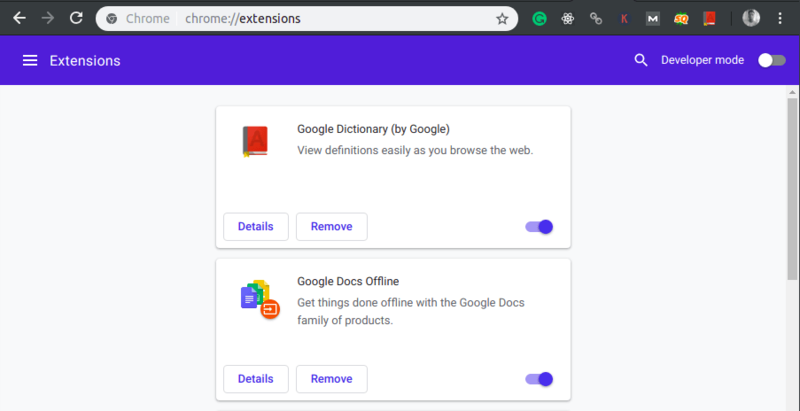 In this section, we are going to start building the Chrome extension. The first thing we want to do is create a separate folder for the extension. Create a new folder called frontend and cd into it in your terminal. content_security_policy: We register two remote origins that we want the extension to execute scripts from. To learn more about content_security_policy read here. browser_action: We specify what the default icon of the extension is (we will create one shortly) and what HTML page should be displayed when the extension is opened. permissions: We specify in this section that we need to access the activeTab and Notifications. You’ll notice that we specified a path to the default icon in the manifest file but didn’t create the folder or the file yet, so let’s do that now. Create a new folder and call it img. In the img directory, we will save an image (a png) file as icon.png. You can use any image of your choice! We just want something that looks nice for an extension’s default icon. We have an icon you can use in the repo but it should not be used without permission. popup.js - This is a script we will create shortly to handle the extension’s events. We need the pusher.min.js script to interact with the Pusher API on the client-side, in other words, bind to events and subscribe to channels. Replace the PUSHER_* keys with your credentials from the Pusher dashboard. In the snippet above, we created a new instance of the Pusher object then we registered a click event listener on the link tag that says Real-time NFL scores. The event listener further makes a request to http://localhost:3000/start on the Node.js backend server using the fetch API. We want this link tag to be the control for the simulation, so that a click on this link when the extension is open will start the simulation. Next, we subscribed to the realtime-updates channel and bound to the scores event. In the bind method, we registered a callback that updates the innerHTML of the extension with the scores received from Pusher and lastly, we made a call to the notify function. The notify function receives two objects, the teams currently playing, and uses them in setting the options object, then it makes a call to Chrome’s Notification API. If we click on the Load unpacked option, we will be asked to select the folder where the unpacked extension lives. So, select the frontend folder. That’s all. The extension is up and running and we can now see the simulated updates on the game between Indianapolis Colts vs Tennessee Titans. The source code to the application is available on GitHub.